The University of Sheffield has been named as the academic partner in the Offshore Renewable Energy (ORE) Catapult’s newest Research Hub, focusing on offshore wind turbine powertrains. The University is world-renowned for its expertise in the fields of electrical machines, power electronics, controls and energy conversion and storage and will contribute a minimum of £1.7m over five years. 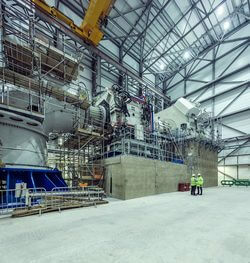 Paul McKeever, ORE Catapult’s Head of Strategic Research, said: “With industry moving towards larger wind turbines, we have an opportunity to significantly contribute to reducing the cost of turbine technology. It is essential to maximise this opportunity in a number of key areas including the challenge of improving powertrain component reliability and availability.